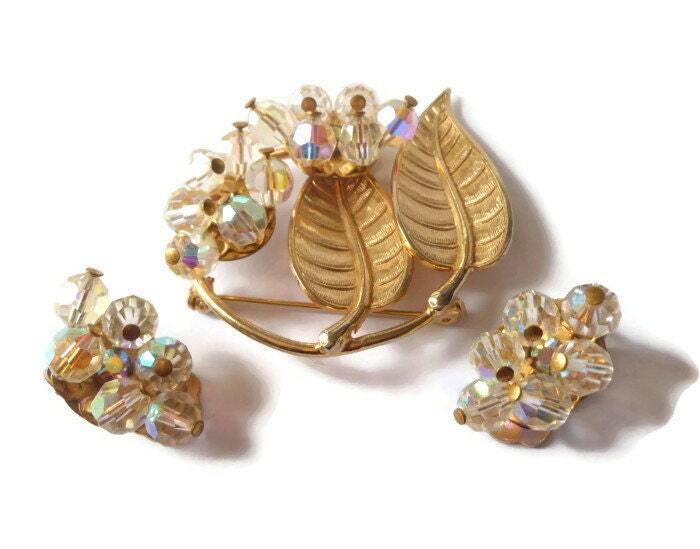 Aurora borealis cluster brooch and clip earrings crystal leaves with rhinestones provide elegant night wear or great for a wedding. 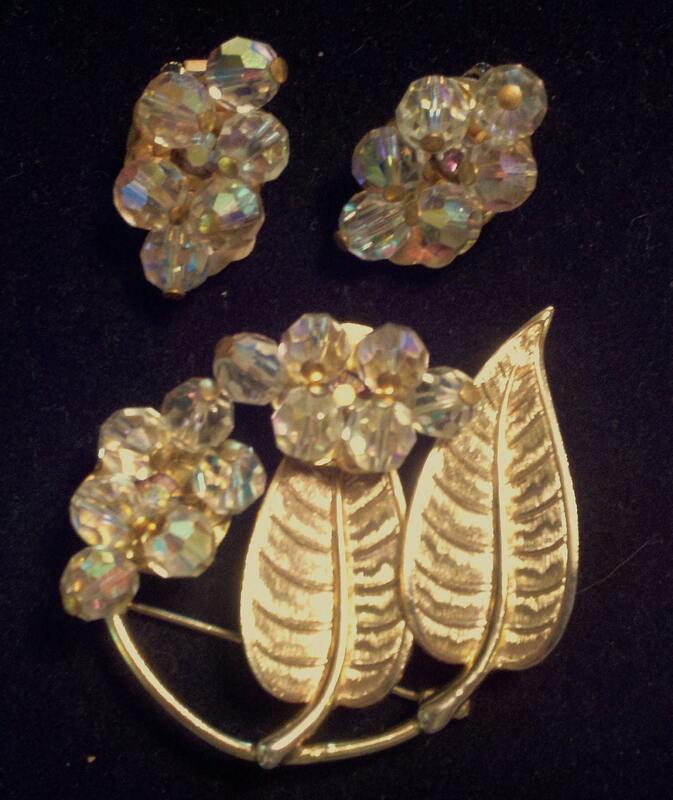 Brooch measures about 1 1/2" by 2" and the earrings 1" x 1/2". 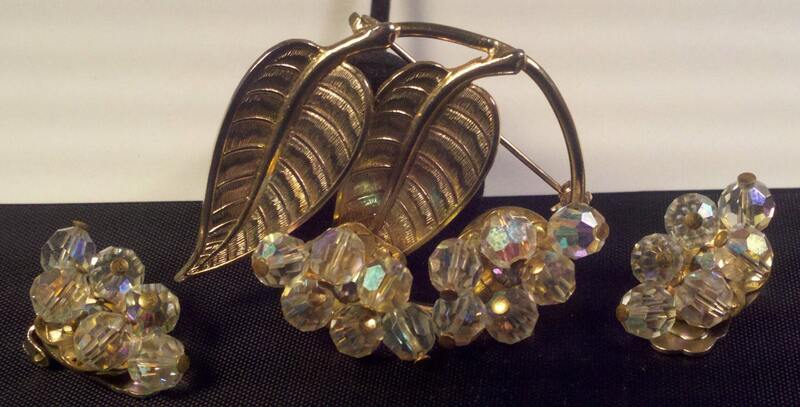 the rhinestones are in the center of the clusters. Both have some visible wear on the back else are in very good condition.